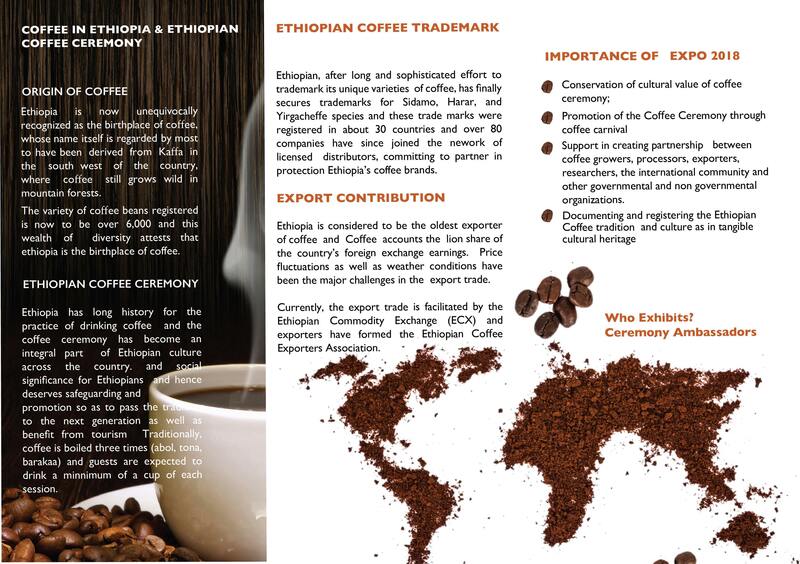 Organisations and companies currently engaged in the production of value added coffee are invited to either exhibit their coffee related products or to network with their Ethiopian counterparts at an international conference, “Ethiopian Coffee Week Expo”, scheduled to take place in Addis Ababa, Ethiopia from 13 -18 Feb 2018. This event is the first of its kind in the service industry in Ethiopia. 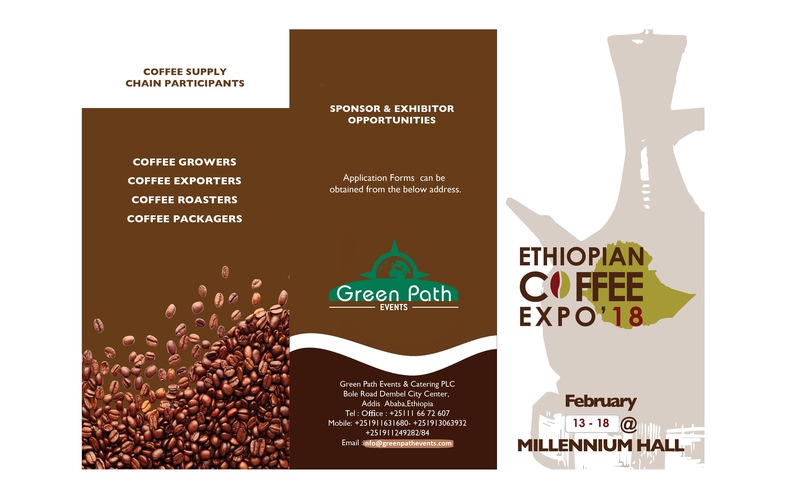 Jointly organized by Ethiopia–based event’s organizers, Green Path Events and Catering as well as Green Environment Consultancy PLC, the Coffee show is expected to draw coffee traders and roasters particularly from Europe and America to Ethiopia. Those wishing to take part in this golden opportunity which may lead to direct access to Ethiopian Coffee, can find full details via the links below. Ethiopian Coffee Week Expo is annual international festival set to attract leading international coffee buyers. And networking platform with various local and international marketers, promoting agencies, associations, coffee roasters, growers, connoisseurs and supply chain value in general. An excellent panorama to showcase unique products and services and promoting your company to all participants and visitors of the expo. The expo will have B2B networking, workshop, panel discussion, and forum. Display the diverse ethnic group coffee ceremony practices, indigenous artifacts and recreational activities. It is pursuing opportunities to exchange information, share their experience and interact with the world’s top-notch coffee community in order to strength and promote Ethiopian coffee commerce globally.